There is no doubt about the importance of Geo-ICT in risk and disaster management. Systems that make use of geo-information are used in all activities before, during and after the occurrence of a disaster. 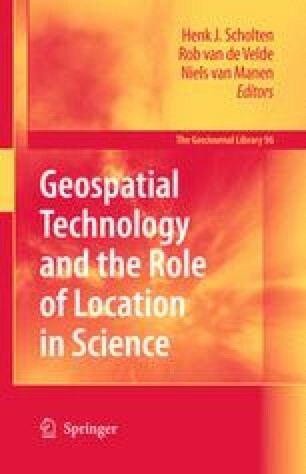 In this chapter we address the use of Geo-ICT before and during disasters. Special attention will be given to the use of geo-information, such as risk maps, topographical maps, etc. A brief analysis of current risk maps and of their limitations sets the stage for research that could overcome some of the present unsatisfactory aspects of risk maps. Access to and provision of spatial information is examined with respect to the needs of emergency response systems and the challenges in the use of geo-information for disaster management are discussed.